Looking for an exotic limousine tour to Napa Valley with comfort and cleanliness, we have the solution for you. Choose your package and you are good to roll. Napa Valley is well-known for the home of hundreds of wineries. It is a place which also offers beautiful scenery too. The Valley offers wonderful weather in its spring, fall, summer and winter seasons. You can arrange such an exotic tour whenever you want with us. There is no match if you are looking for fun and exciting tour. Disneyland is most attractive place in the Napa Valley. Napa valley wine tour is well recognized as one of the major wine regions in the world. There are 200 wineries located in the Napa Wine Valley. Napa valley is 30 miles long and five miles wide. In the place, you can taste this wine and observe the total process of wine making. Depending on the season you are visiting the Napa valley, you might get chance to see the picking or sorting process of grapes. The Napa valley wine tours feature the excellent wines taste and making process. People flock the area with a relaxing stroll through the grapes. You will get a chance to enjoy with the finer wines. It is second largest tourist spot in the California. Near about five million tourists visit in the Napa valley every year. There are many wine production industries in the Valley, and the superior quality of wine attracts the tourists from all over the world. You will learn a new culture and get the flavors of the natural landscape. Take a trip to the places and create an amazing moment of your life. There are impressive numbers of options for the transportation. We offer the most comfortable & luxurious Limousine service in San Francisco for your comfortable transportation. You don’t have to think about the budget. Here you can get the Limousine at cheap rate. 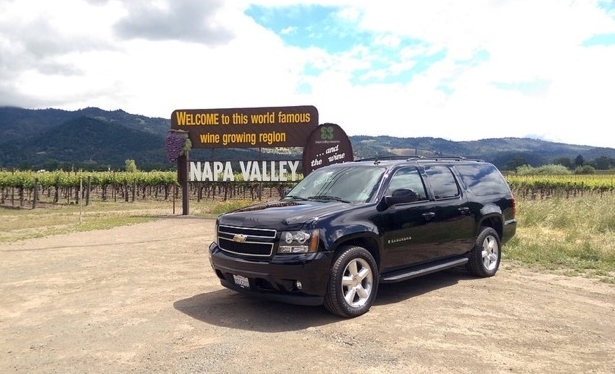 Marin Gateway Limo & Car Services provides you the quality service for the Napa Valley tour. Next:What To Expect From The Best Limousine Service From Marin County?